I inherited from My Uncle Dennis a postcard album. 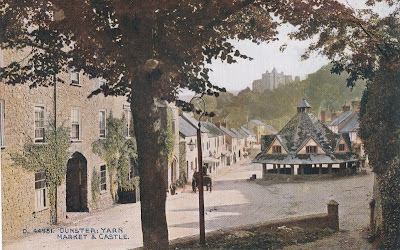 In it was this postcard of Dunster, which I particularly like because of family associations. I never knew Uncle Dennis because our family has a strange history of schisms. I have other artifacts from him including cassettes tapes of bird song which he introduces. I would have liked to have known him.